As a client at P&G and Kellogg’s, I was as guilty as anyone of asking my agencies for Big Ideas, but probably not doing enough to give them the insight and latitude to come up with them. In the last few years, many older brands have opted for a strategy of cutting their way to bottom-line growth instead of fighting the good fight for Big Ideas that can drive their relevance and top-line growth today. So, what makes a Big Idea? Let’s keep it simple – an insight about an important human problem that your brand can provide a credible solution to and a simple, easy way to express your brand as a unique solution. I don’t mean a TV tagline or memorable character, that’s old school. I mean an idea that elevates your brand to something people want to talk about and engage with. This has always been important, but in a world with social media, it is critical. Snickers’ “You are not you when you are hungry” was a great Big Idea for that brand. It reframed the idea of why you eat Snickers versus its traditional chocolate bar competition, posing it as a solution to hunger, not a sweet tooth. Didn’t change the world, but was great insight that repositioned the brand in the consumer’s mind and has been a great business driver ever since. Back to Nature’s “Snack Happy” was a Big Idea that moved the original crunchy granola natural foods brand (both literally and figuratively) from 1960 to NOW. Over the years, consumers had drifted away to more aspirational, popular salty and sugary snacks. “Snack Happy” playfully welcomed people who aspire to enjoy life more completely, free from worry, because their food is free from gluten, GMO’s, and high-fructose corn syrup, but no less sweet and meaningful. These are pretty simple Big Ideas, and there are lots of them out there if you are willing to hunt around, listening to your consumers and scouring their social feeds to find them. They generate reconsideration for brands whose categories have fallen on hard times. No amount of new product introductions or acquisition of start-ups will overcome the financial drain of languishing core brands. They need to be revived if you want to stop the financial bleeding. Point is, there are Big Ideas out there to make your brand relevant. To make people reconsider it. To change your competitive frame of reference. Hunt for the insight. Let your agency take some risks. If you need to start small, in social maybe, then do it. That’s where the conversation and engagement will happen anyway. If it’s a Big Idea, it will grow the more you feed it. Want more examples of our Big Ideas? 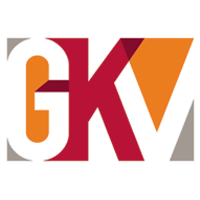 Contact Dan Collins at dan.collins@gkv.com.